Deep red, bomb-type double, lightly fragrant, early, 32" tall, species. 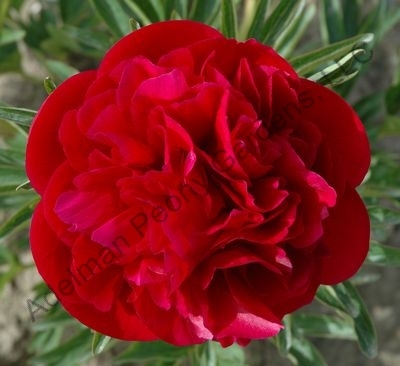 Often referred to as the 'Memorial Day' peony. Originating in Europe and brought west in the wagon trains. A traditional cottage flower.